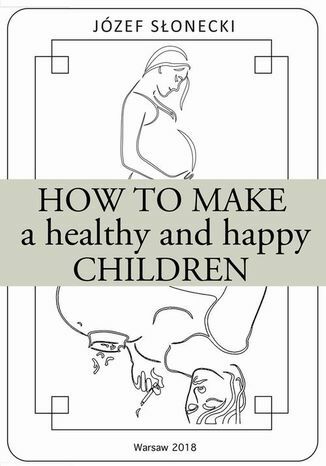 It is a treasury of knowledge for people who want to breed and raise healthy children. This is a manual for all future and responsible parents. This book directly demolishes stereotypes and breaks popular views (but not true) about infertility, genetic diseases, eugenics, vaccinations, fertilization and pregnancy. We can easily ask the reader if she or he is prepared for sensational knowledge. It should be noted that this is a book for men and women. It's obvious, but often we forget that only two healthy parents can give health to the child. Who will your children blame for having to live with diseases and going from one doctor to another? As you no doubt have guessed, though youd rather not know they will blame their parents. And they will be absolutely right! This book is a continuation of a four-volume series of books titled Health at your request, but you can also read it first. Józef Słonecki, the author of the book, writes about himself and his books: I am the only author in Poland, and possibly in the world, who writes about health. In my objective opinion, as all factors indicate, health is the best, and in fact the only cure for all human diseases. After all, health can not only prevent a disease but most of all eliminate a disease that has already infected our bodies. In light of these facts, focusing on diseases is beneficial only to physicians, alternative medicine practitioners and manufacturers of drugs, usually called supplements to divert the attention. I have described the non-medical, and sometimes even anti-medical aspect of health in the book entitled Health at your request consisting of four volumes which, as you have probably guessed, are the foundation of all recommendations discussed in this book, both for parents and their offspring. Ebook porusza temat healthy. Jedną z istotnych spraw poruszanych w ebooki jest: children. ISBN 9788394828967. Porównywarka cen ebooków, które dostępne są w formatach PDF, MOBI i innych. Na urządzenia Kindle i inne. Tutaj znajdziesz ebook, którego szukasz. Nie wszystkie ebooki w ofercie są darmowe. Wspierajmy autorów i kupujmy ebooki.